If you have an IVA, or are proposing entering into one, this will effect how you run your business. 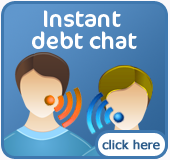 And actually, instead of accepting the terms of an IVA, your creditors can use the alternative of bankruptcy. It will be for them alone to calculate the assets of your business and make a judgment on its financial position. Your business could be closed down and its assets liquidated to pay some or all of your debt. However, in bankruptcy a creditor doesn't always benefit. They may be forced to accept a lesser sum in full satisfaction of the debt. This is because the court relieves the debtor of the debt in full and instead imposes restrictions as well as the sale of assets. None of this benefits the creditor. When you complete an IVA proposal you can request to carry on trading but, of course, it will depend if it is practical. The finances of the business will be disclosed to the creditors in full. You could show the creditors a business plan covering all your financial concerns and cash flow. Make sure it demonstrates that any previous problems have now been resolved. If you can do this it will help show that your business is still viable. If the business is simpler and problems are less complex you will usually be allowed to continue trading as normal. This will happen when you have assets to liquidate. 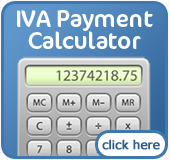 It is easy to see that it would be in the creditor's best interests to allow you to keep earning in order to pay the IVA repayments.